remember these? 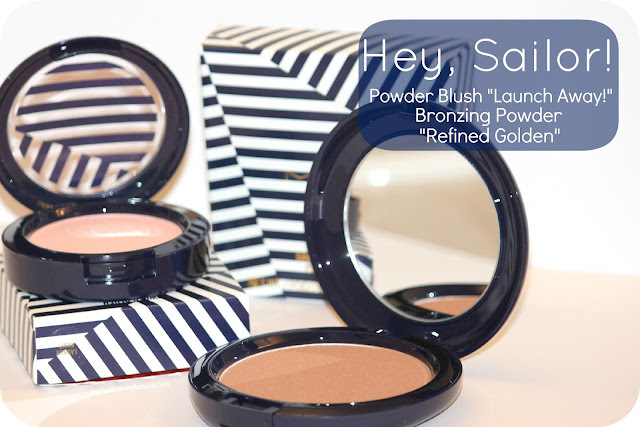 i am excited to announce that this week's giveaway are your very own blush and bronzer from the MAC Hey, Sailor! summer 2012 makeup collection. YAY. please don't forget, voting runs through tomorrow for the Allure Magazine Beauty Blogger contest. please please please take a second to Vote, Like & Tweet. I like you on Facebook. (Angie Olsen Center) Thanks for such a great giveaway! Saw you on Studio 5 all the way from my home in Ohio. You're awesome! I like Blushing Basics on FB. Thanks! I like you on fb! Fun Giveaway! Awesome! I like you on FB! Oh how fun! I LOVE MAC!!! I like you on Facebook! Like you on fb. I need some new bronzer!! Hope I win! I liked you on FB (under Olesya Budarkova). So want to win this! I liked you on facebook but I kinda don't wanna put my facebook name on the internets, so I am gonna email you :) <3 Thanks for the giveaway! I like you on FB and thank you for the giveaway! I like you on FB, and just voted for your Allure contest. I like your FB page! Love to try this product! --------------------- Just liked you on FB under: Nicole O.
I liked you on facebook (which was not a hard thing to do!) where I am Margot Core. I like you on fb =) I've been needing some good bronzer and blush...this would be perfect! i've liked you, and i do like you! Liked you on Facebook (Justine Grace)!